With experience across international organizations, U.S. government agencies, and the business sector, our team combines regional expertise with professionalism and innovation. Fazil Kurdi is founder and Executive Director of Kurdistan Aid (KAID) and a co-founder of the Kurdistan Community Organization (KCDC) in Washington, DC. 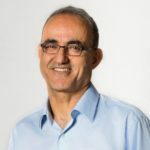 Mr. Kurdi has over 25 years of professional experience in international humanitarian relief, peacekeeping operations and development sector project management. 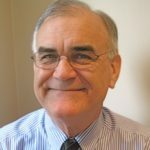 He has supervised community development initiatives for public-and private-sector organizations, providing senior-level oversight at headquarters and in the field. 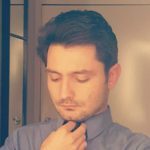 Mr. Kurdi has worked with international organizations including a number of United Nation agencies, such as UNHCR and UNICEF’s Department of Peacekeeping Operations (DPKO). 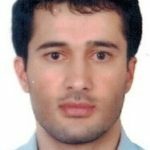 Mr. Kurdi has also worked with U.S. government organizations, including the U.S. Agency for International Development (USAID), the Department of State (DoS), and the Department of Defense (DoD). He has successfully facilitated and managed projects in conflict and post-conflict environments across Eastern and South-Eastern Europe, Central Asia, Middle East and North Africa. Currently, Mr. Kurdi is a lecturer and manages a pre-deployment training for the U.S. Department of State and Department of Defense. Rebecca Cohen has over 8 years of experience providing project management, operations and technical support in the international development field. Ms. Cohen’s career began at UNHCR, where she provided refugee resettlement counseling to families in Asia and the Middle East. She also supported Vital Voices Global Partnership’s Latin America and Caribbean Businesswomen’s Network. The Network promoted economic growth and empowerment for women in the LAC region. As a government contractor, she contributed to over 20 technical assistance and research-related projects that focused on education and public health. Currently, she serves as a project manager for a USAID development portfolio focusing on monitoring and evaluation in Pakistan. Ms. Cohen received her Bachelor of Business Administration in International Business from James Madison University. She received her Master of Science in Development Communication at Temple University. 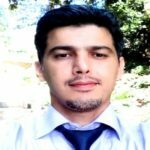 Dlshad Othman began his career working for B-Plan, an information systems company contracted by the Iraqi Ministry of Water in Baghdad. Mr. Othman developed the Ministry’s database applications and also provided technical assistance to the United Nations Environment Programme’s Iraqi Marshland Project. As cyber-security trainer for the Institute for War & Peace Reporting, Mr. Othman identified malware programs developed by various governments and terrorist groups. He is the founder and developer of uVirtus Linux, an operating system that provides online privacy to activists. Currently, Mr. Othman is a cyber-security engineer at Counterpart International where he helps civil society organizations address their IT and cyber-security needs. In 2012, Mr. Othman was awarded the Internet Freedom fellowship by the U.S. Department of State. Mr. Othman holds a Bachelor’s degree in Cybersecurity from George Mason University. He received his Master of Science in Information Security and Forensics from The Open University. 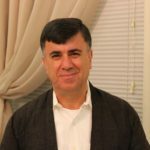 Kamal Chomani is an independent journalist and political analyst with over 9 years of experience writing for local and international media on Kurdish affairs in Iraq, Syria, Turkey, Iran and worldwide. Mr. Chomani has professional expertise in international relations, human rights and civil society. He focuses on topics such as defending children and women’s rights, addressing the Kurdish issue in Turkey, Iran and Rojava, covering political issues in Kurdistan and Iraq, and reporting on Kurdish diplomacy and international relations. Mr. Chomani is currently a fellow at the Tahrir Institute for Middle East Policy where he supports increasing public understanding of events in the Middle East. Niyazi Hamid is a political writer, analyst and activist. Mr. Hamid worked with the Kurdistan Reconstruction and Development Society and later as a Technical General Director in the KRG. 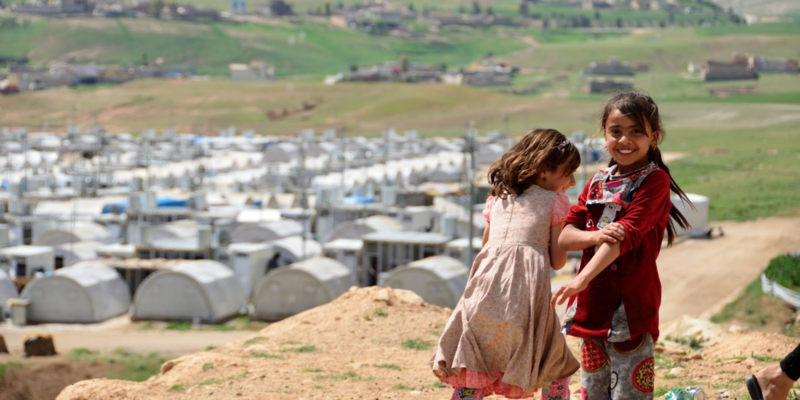 Mr. Hamid has been working with NGOs to assist displaced people in Sinjar and Kobani. He is also a founding member of Kurdistan Human Rights Organization in the United States. Aso Jabar Ahmed has over 15 years of experience working for NGOs and public networks. He is a human rights activist, a volunteer, and an active member of the Defense of Journalists Network, the Federation of Civil Society Organizations, PEN International, and the Metro Organization for Defense of Writing and Free Speech. Mr. Ahmed is a journalist who has written over ten books on community, culture, immigration and multicultural groups. Mr. Ahmed has also led workshop discussions on community development, culture, human rights, and education. In this capacity, he works to enhance university education on democracy and civil society, community development, conflict resolutions, global terrorism, peaceful development, multi-cultural groups, and open society. 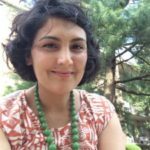 Ruken Isik is a Doctoral Researcher at the University of Maryland, Baltimore County focusing on Women’s and Gender Studies. She holds a Master’s Degree in Women’s and Gender Studies from Towson University and a Post-graduate Certificate in Gender and Women’s Studies (UMBC). Lynn Holland began her peacekeeping career in Haiti on behalf of the U.S. Department of Justice’s International Criminal Investigative Training and Assistance Program (ICITAP). 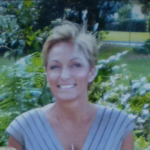 Ms. Holland worked extensively in Bosnia, Kosovo, Albania and Macedonia. She also worked on a project to create the new Liberian Police Department. She has served as a city, county, and state law enforcement officer in Oklahoma and Texas. Ms. Holland currently serves as a senior post-conflict reconstruction subject matter expert for the U.S. Institute of Peace in Washington, D.C.
Ms. Holland is a Bush Fellow from the George H. Bush School of Government & Public Service, Texas A&M, where she earned her Master’s Degree. She is a founding member of the International Chiefs of Police (IACP), International Managers of Police Academy, and College Training (IMPACT) Section. Rezhna Tannia is a freelance photographer and a member of the U.S. Press Association. Previously, she worked at the Association of Corporate Counsel where she promoted programs to engage global leaders through education and networking. Ms. Tannia also served as a board member of Three Villages Project, Inc., where she supported the empowerment of low-income people to alleviate poverty in their communities. Ms. Tannia is currently filming a documentary about Kurdistan. She received her Bachelor’s degree in Philosophy from the University of California, Davis. Naren Briar is an undergraduate student at Boston College. Ms. Briar grew up in Dallas, Texas with her mother, father and older sister. 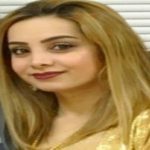 Most, if not all, of her motives can be traced back to her parents and their incredible story of seeking refuge here from Kurdistan. Because of this, she takes pride in being Kurdish and has geared her career towards doing what she can to improve conditions in Kurdistan. In her free time, she enjoys debating and writing which has led her to draft her first novel about her parent’s encounters while fleeing the Ba’ath regime. Diana Feldmaier-Paarmann recently received her Bachelor of Arts in Psychology from George Mason University. She received her minor in Women and Gender Studies. Ms. Feldmaier is passionate and eager to contribute to society and make a difference in the lives of those in need. Bryan Kurtz M.A. from Stanford University in development economics and decades of practical experience designing and managing private and public sector programs overseas focused primarily on generating jobs and/or training people for better jobs. He has lived and worked in several conflict, post-conflict and other countries undergoing major transitions in Eastern Europe (Bosnia), the Middle East (Kuwait, Iraq, Afghanistan) and Africa (Botswana, Nigeria). After eight years with Peace Corps, he spent two years at the US Treasury Department as its World Bank desk officer. He then moved into the private sector as an international commercial banker for 14 years (including 3 years as a World Bank financial sector consultant) before joining USAID as a private sector development Foreign Service officer in 1990. 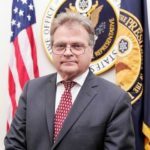 During 20 years with USAID he designed and managed its post-war reconstruction $300 million Bosnia Business Development Program (BDP), winning a Meritorious Honor Award in the process. The BDP helped to restructure and energize Bosnia’s post-war private commercial banking sector where new loans also generated sustainable employment for over 20,000 local citizens. After returning home to DC in 2001 after three years in Bosnia, he helped USAID establish a range of large public-private partnerships to augment mutually beneficial overseas development programs. He also served as a senior USAID advisor to the Coalition Provision Authority (CPA) in Iraq, and to Commanding Generals of the U.S. Marine Corps and Army Airborne in Afghanistan on relatively short term assignments. Since retiring from USAID in 2010, he has been an independent advisor, trainer and career counselor supporting a variety of military training and civilian development organizations and individuals. 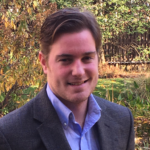 Winthrop Rodgers is a freelance journalist with over 5 years of research and writing experience. 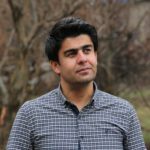 He writes on political issues in Kurdistan, Europe and the United States with a focus on peacebuilding, foreign policy, foreign relations and development. Currently, Mr. Rodgers supports NRT News organization producing content on breaking news and opinion pieces with a focus on Kurdistan, Iraq and the Middle East. Mr. Rodgers received his Bachelor of Arts in Political Science and Government from Bates College. He holds a Master of Arts in International Relations from Queens University Belfast. 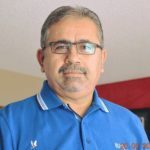 During his career, Brwa Kakahama worked as a consular assistant and cultural advisor at the U.S. Embassy in Baghdad and later at the U.S. Consulate General in Erbil. Previously, he supported several NGOs in Kurdistan focusing on civil society, democracy and women’s political participation. Dlawar Ghafour Kareem has over 8 years of experience working with urban communities on social impact and infrastructure development. 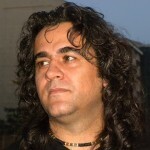 He has experience editing news-related articles in Kurdish and conducting media and journalism trainings across Iraq. As a Community Development Coordinator at ACDI/VOCA, Mr. Kareem supported communities in Sulaymaniyah and conducted various trainings for Community Action Groups (CAGs). During this time, he received his certification in Management and Leadership from American University. Mr. Kareem worked with UNHCR where he implemented livelihood projects for Syrian refugees in Arbet and Ashty camps and in urban areas across Sulaymaniyah. Mr. Kareem currently works for Travisa where he provides visa and passport services. He received his Bachelor of Arts in English from Koya University. Meghan Bodette studies international law at Georgetown University. She is an editor at The Region, an independent news outlet covering the Middle East. 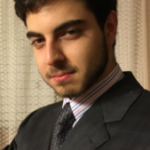 Sam Kurdi is a student at George Mason University in Fairfax, Virginia. He has contributed to his community by organizing seminars and volunteer sessions and by starting a club dedicated to bettering his local community. In an effort to raise awareness of global issues, and to provide others a chance to give back to their community, Mr. Kurdi has partnered with local and international organizations, including Americans for Prosperity and the Optimist Club of Central Fairfax. Mr. Kurdi is Kurdish-American and is highly politically motivated. He joined KAID as a volunteer and currently supports the organization as a youth organizer by engaging and promoting youth participation. Nashmin Behrouzi is a second-year graduate student at American University, studying Public Administration with a concentration in state and local management. Ms. Behrouzi has experience working with NGOs, particularly focusing on humanitarian aid. 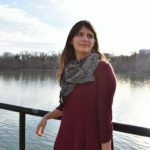 Her long-term career aspiration is to work for an organization that focuses on immigration and refugee policy. 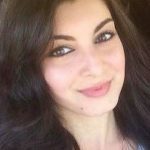 Nakshin Behrouzi is a first-year graduate student at George Mason University, pursuing her Master of Science in Social Work. Ms. Behrouzi has experience working with diverse populations in the areas of mental health and education. Her long-term career aspiration is to start her own mental health practice to diagnose and work with underprivileged populations who suffer from mental health illnesses. 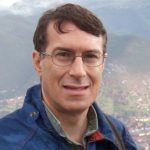 During his career with the U.S. Department of State, Lawrence Cohen served in Mexico, Honduras, India, Hungary, Nigeria, Brazil, and at Provincial Reconstruction Teams in Bamiyan and Herat, Afghanistan. He also worked on State Department assignments in the Iraqi Kurdistan Region; Tunisia; and the Yemen Affairs Unit in Saudi Arabia. Mr. Cohen created and led the Foreign Service Institute’s Afghanistan familiarization training program. He also developed and delivered diplomatic trade-craft training for the South Sudanese Foreign Ministry. Mr. Cohen received his Bachelor of Arts in history and Mideast Studies from Dickinson College and a Master of Arts in International Relations, specializing in Middle East Affairs, from the University of Chicago. 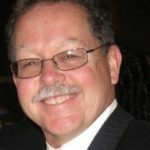 He served two years on the Governing Board of the American Foreign Service Association (AFSA) as Retiree Vice President. E. “Skip” Rohde was a Navy Officer for 22 years. During this time, he commanded an overseas field site, led teams of sailors at sea, managed classified programs and projects ashore, and served on small and large staffs. He was deployed to Desert Shield and Desert Storm, peacekeeping operations in Bosnia, and to real-world and exercise operations at sea over many years. After retiring from the Navy, Mr. Rohde spent 18 months managing reconstruction programs in Iraq and 12 months as a governance advisor in Kandahar Province, Afghanistan. He is the principal of Metis21, a consulting firm providing businesses with support in training and proposal preparation. He is also a professional artist whose work has been exhibited in museums, galleries, universities, and other venues across the United States. Bom Hoe Huh provides accounting and consulting services to the Korean Community Service Center and the Korea-US Science Cooperation Center. 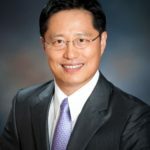 He has worked with the Korean American Scholarship Foundation, the Virginia Korean American Disabled People’s Association (KADPA) and various other non-profit organizations. 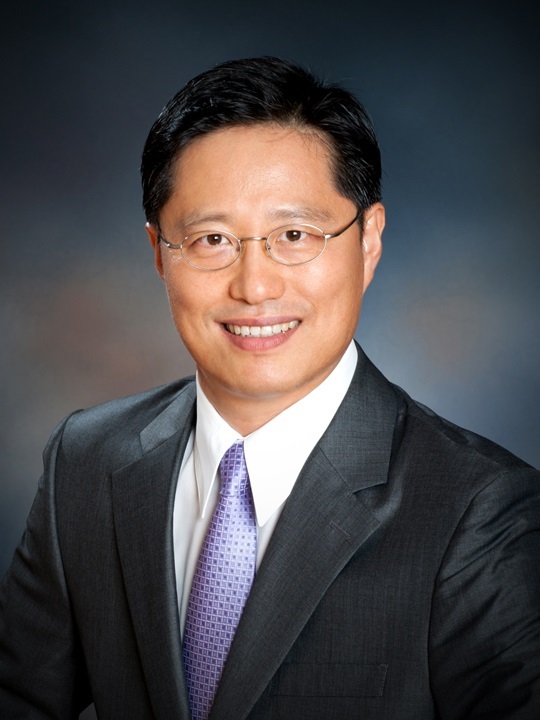 Mr. Huh received his Bachelor of Arts from Yonsei University in Korea and holds a Master of Arts from George Washington University. Michelle Quinn has three decades of experience providing international stability, security, and training around the world for the Department of State and other organizations. In her work, Ms. Quinn supported critical USG stabilization and peace-keeping missions. Ms. Quinn worked for several years on Capitol Hill, supporting various House Congressional Committees, and at the White House Office of Management and Budget (OMB). Ms. Quinn holds a Bachelor of Arts from The College of William and Mary and a Master in Business Administration from the University of Mary Washington. She serves on the Board of Directors of the International Stability Operations Association (ISOA) and is a member of Women in International Security and the Advisory Board of Harvard Business Review. 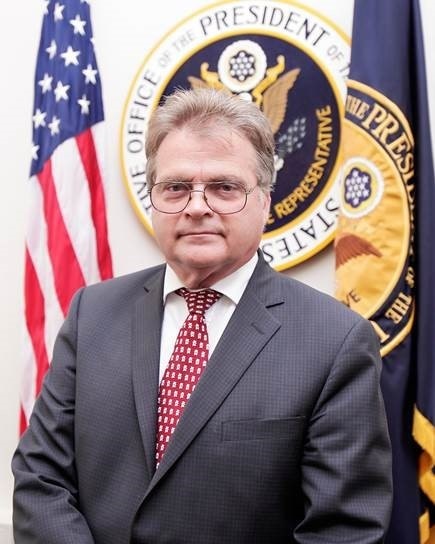 Michael Delaney served as Assistant US Trade Representative (USTR) for South Asia from 2008 until 2017. In this position, he was responsible for development of trade with South Asian countries, including India, Afghanistan, Pakistan, Bangladesh, Bhutan, Maldives, Nepal, and Sri Lanka. Mr. Delaney was a Senior Foreign Service Officer with the U.S. Department of State where much of his career has been devoted to the development of US trade. Prior to his appointment at USTR, Mr. Delaney served as US Political Advisor to the NATO Southern Regional Command in Kandahar, Afghanistan. 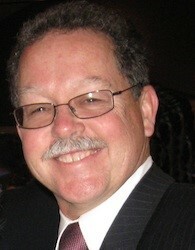 Mr. Delaney received his Bachelor of Arts from Emory University and a Master’s Degree from the University of Chicago. 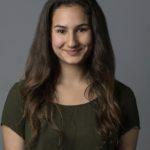 Kani Xulam is Director of the American Kurdish Information Network (AKIN), an advocacy office dedicated to fostering Kurdish-American understanding and friendship. As the Director of AKIN, Mr. Xulam works closely with members of the U.S. Congress to seek the freedom of Kurdish parliamentarians imprisoned in Turkey. Mr. Xulam is an occasional commentator on the plight of the Kurds and Kurdistan on the pages of Rudaw, an online multilingual daily with headquarters in Erbil, Iraqi Kurdistan. Mr. Xulam received a Bachelor of Arts in history from the University of California Santa Barbara and an Master of Arts from the School of International Service at American University. During his two-decade career with the United Nations Development Program (UNDP), Woria Karadaghy designed and supervised development programs in Bosnia and Herzegovina, Kosovo, Afghanistan, East Timor, Sri Lanka and Kyrgyzstan. He also has served in various consultancy assignments in South Africa, Zimbabwe, Lesotho, Swaziland, Egypt, Guinea Conakry, Vietnam, Philippines, Cambodia, Laos, India, Pakistan, Cyprus, Kosovo, Kazakhstan, Uzbekistan, Qatar, Kuwait, UAE, Iran, and Iraq.